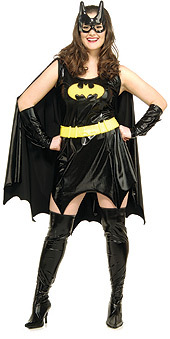 This Batgirl Costume is designed for a more volupuous fan. Get out into the city with Batman and save the day! What are you waiting for? Gotham needs your help!